Join us in the in our new fitness studio conveniently located at the Regent Centre in the heart of Gosforth! Tired of the same gym workouts and classes? Frustrated with fitness and weight loss plateaus? Let us help you become the best version of yourself! 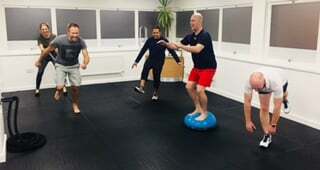 Many of our classes are Physiotherapist led, ensuring that exercises are safe and appropriate, alongside providing a fun and sociable atmosphere. Regardless of fitness levels and capabilities, we motivate our participants to challenge themselves to achieve their absolute best! Conveniently located at the Regent Centre Gosforth, Health and Exercise Matters studio offers a professional space for instructors to hire to run high quality classes on a pay as you go basis with no regular commitments. There is an easy online booking facility once you have signed a licence agreement and given login details. A versatile fitness studio in the heart of leafy Gosforth. Pilates, Yoga, Strength and Conditioning, body balance, Injury prevention and sport specific strengthening, kettlebells and wellbeing classes for all ages and abilities. The Health and Exercise Matters studio is suitable for a wide range of classes carried out by freelance qualified instructors or Chartered Physiotherapists. Facilities at the studio include a shower, lockers, Bluetooth speaker, toilets, mirrored walls and workout equipment such as kettlebells, treadmill, exercise bike, gym balls and weights. The studio is available to rent for classes from 30 minute slots seven days a week, daytimes and evenings with free parking facilities. If you’re restricted for time and want to get the most from your workout you can’t beat high-intensity interval training HIIT – Circuit Training. Pilates is a strengthening and conditioning exercise program designed to focus on core strength and improve flexibility, posture and balance. Are you skiing this winter?? Want to manage the full week without hobbling after the first day? Want to feel the fittest you’ve felt on the slopes in years? Want to give your body the best preparation possible to avoid injury and enjoy your holiday? This class is a medium to high intensity circuit based exercise class designed to integrate a motivational group atmosphere with the concept of “Freedom of Movement”. The class will consist of exercise and strength based activities focusing on mobility and strengthening conditioning on High intensity static and plyometric exercises of the lower limbs main compound muscles. 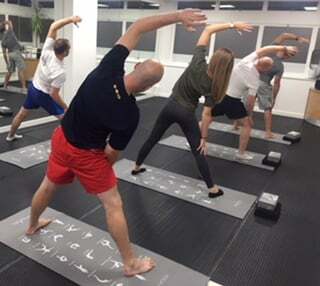 The Class will consist of stretching and strengthening exercises to help you return to your normal daily activities. This class is suitable for those who feel they have problems with daily tasks such as getting out of a chair, use a walking aid to walk or feel a little off balance. 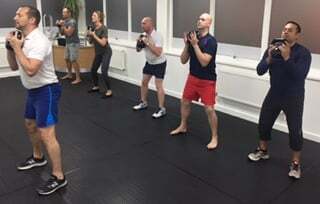 This class is a medium to high intensity kickboxing group exercise class.